So I liked this book- liked but not loved. I enjoyed the characters and thought that the idea of the red, green and blue pills was very interesting. I liked how realistic Cassia was. She seemed to be a fairly normal teen, struggling with issues that are fairly universal to teenagers. Another thing that fascinated me was the idea that their time in nature was limited and restricted. As a person who loves the outdoors I couldn't imagine what it would be like to be unable to just go out and enjoy the beauty of nature. However I found it was a bit formulaic and very similar to other dystopian novels that I have read. The romance wasn't particularly believable to me and I found that I wasn't very emotionally attached or invested in the story line. 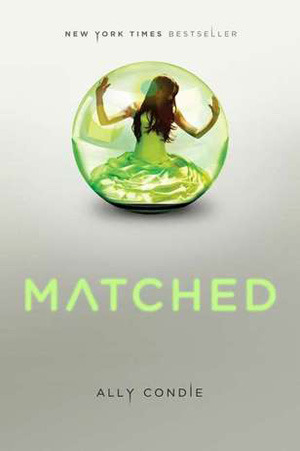 The series has a second and third book but I didn't really feel the need to get them after reading Matched. Someday I may read them but for now its not high on my to-read list.